Cr Williams said the $238 million budget for 2013-14 provided cost of living relief while delivering the high quality services people expected from their Council. “I was proud of Council’s first budget last year, but I am even more proud of our second, which delivers the surplus I predicted a year ago and a headline rates increase of 1.43 per cent,” she said. “We have absorbed millions of dollars in external costs imposed on us by other levels of government, providing a reprieve for our ratepayers who otherwise would have been forced to foot the huge bill through significant rate increases. “Without these external factors, we could have seen a rates freeze. “Even with these extra costs, this budget places Redland City in an enviable financial position, while still being able to cope with any unforeseen circumstances which may arise. “This is a budget for today – and for tomorrow. It is responsive, realistic and responsible. Cr Williams said the 2013-14 Budget would deliver a surplus of $317,000. 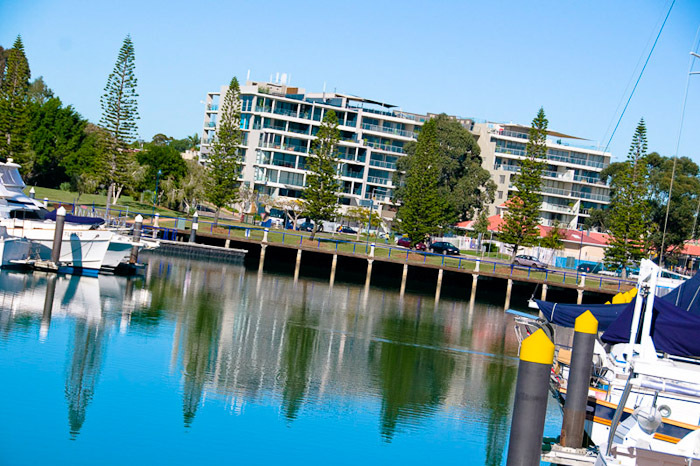 “This is the first Redland City Budget in many years to deliver a surplus. It may be relatively small but our solid financial position will make us the envy of many other Councils,” she said. ”The average headline rate increase of just 1.43 per cent balances the needs of the Redlands community with the capacity of residents to pay. “The average residential owner occupied mainland property, which has a value of $282,000 and using the average amount of water (200kl), will see a rates increase of just 1.1 per cent, including all utilities and levies, or in dollar terms a rate increase of 66 cents per week or about equivalent to the cost of a postage stamp. “This modest increase fulfills the promise I made during the mayoralty campaign to keep rates to at or below CPI which this year is 2.5 per cent according to the Australian Bureau of Statistics. “Residents have been hit by massive increases in State Government bulk water prices (up 16 per cent) and electricity charges (up 22.6 per cent), as well as rising grocery and fuel costs. “People are really hurting. Some South East Queensland councils have passed on their cost increases through rates rises as high as 5 per cent. “Redland City has crunched the numbers to ensure we can deliver the lowest rates increase possible while delivering all the services people have come to expect. Cr Williams said the State-imposed bulk water increase had been offset by a reduction in the cost of Council controlled waste water by 13.23 per cent, or an average $96 a year. “This saving will mean the average Redland property will actually see a $7.52 fall in utility charges,” she said. Council has also cut the number of rating categories this year from 45 to 22, providing a more consistent approach and reducing rates for the majority of residents. “I feel we still have some way to go to achieve reform in rating across the City but this will ensure clear, transparent rationale behind the categories,” Cr Williams said. The changes to rating categories also reinstates separate canal levies for residents at Raby Bay, Sovereign Waters and Aquatic Paradise, splitting this cost from their general rates to ensure transparency. “The reinstatement of separate canal levies was requested by the people who live in these areas and they now get greater transparency on how the funds are raised for the expenditure spent on the canals and lake,” Cr Williams said. “I am proud of the work done in framing this Budget and believe it sets the foundations for the future of the city, especially given the impact of costs which are outside Council’s control.